On the most romantic lake in the world! How could she not say yes? Contact us today and we'll help you give them the surprise of their life! I may have to change the name of my website to Love In Lake Garda as I am happy to announce that 2018 was another successful year for a Lake Garda wedding proposal. 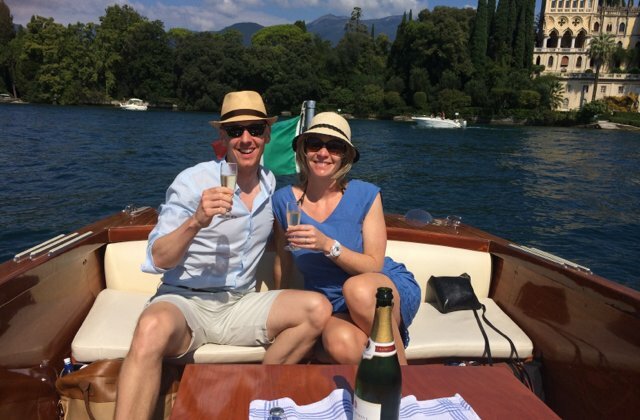 Since we first helped Steven and then Harrison arrange the perfect setting for proposing to their girlfriends, Lake Garda marriage proposals have become more and more popular, and so far we’ve had a 100% success rate. Last year was our best year yet, helping around 14 couples take the next step in their relationships. Many of the couples have sent us some wonderful photos which capture, not only the amazing backdrop to which they made one of the biggest decisions of their lives, but also the emotion and joy of the occasion. 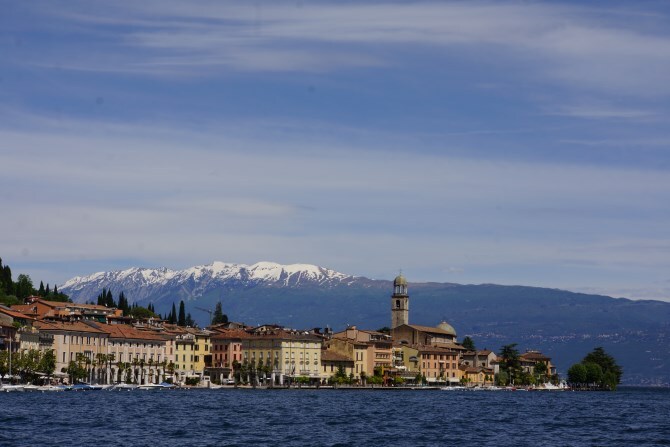 Lake Garda is without doubt one of the most romantic places on the planet and the perfect place to pop the question, the scenery is stunning, the aura is magical and the intensity of both is most exaggerated when on the water. 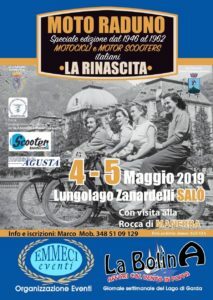 The glistening water, the hazy outline of the mountains and the shoreline with its iconic landmarks such as the castles in Malcesine, Sirmione and Torri, the Torre San Marco at Gardone, Villa Feltrinelli in Gargnano are Punta San Viglio are just a few. The Venetian villa on the Isola Del Garda is used as the back drop to the majority of the proposals that we arrange. You will be taken on a 1.5 hour boat tour and can see sights such as the Sirmione peninsular, Punta San Viglio and the Rock of Manerba. The skipper will tell you exactly what’s possible as it will depend on your pick up point location and the time. During the tour you will stop in front of Isola Del Garda, which is the ideal place to pop the question. The skippers of our boats know the drill and won’t give anything away. They stop the boat at exactly the right spot in the pretence that the backdrop is perfect for a photo. This is your cue to hand the skipper your camera or phone, then drop to your knee and pop the magical question. When she says yes the skipper will pull out a bottle of chilled prosecco and a couple of glasses for you to toast the happy occasion and then pose for more photos. You can be dropped back at the pick up point or at a restaurant so long as it’s nearby. We can give advice on restaurants and even make the reservation for you. You may choose a morning tour which will start around 11.00-11.30, or an evening tour which will be around 6.00-6.30. Depending on the time of year it may be possible to time your evening tour with the sunset to make it even more romantic. The price for this service is around €270-€280. Contact us today if you want to make memories like the ones above by clicking the button below.